Houston • The Rockets’ defensive effort against the Jazz in Game 1 on Sunday night shocked and amazed plenty of people. Just don’t count the Rockets among them. “It doesn’t surprise me that we can defend, at all,” Houston coach Mike D’Antoni said afterward. It’s still taking others some getting used to. And deservedly so. 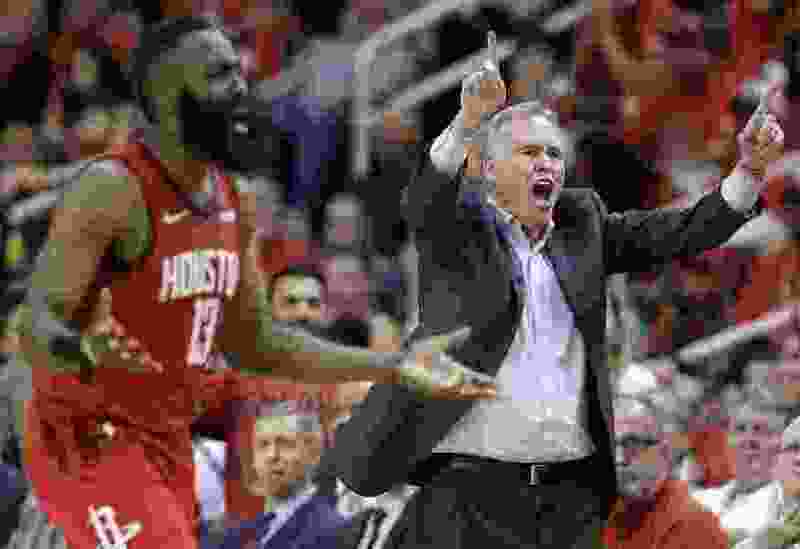 The Rockets, after all, have long been regarded as an offensively-oriented team — that’ll happen with D’Antoni (of “Seven Seconds or Less” fame with the Phoenix Suns) as the coach, and when James Harden averages 36 points per game, which is the seventh-best scoring average in NBA history. Meanwhile, it’s not as though Houston was a season-long defensive juggernaut. Over their first 62 games, they allowed opponents 111.2 points per game. The team did seem to figure out its issues over the final quarter of the season, however, as opponents’ scoring dropped to 102.8 ppg. Not coincidentally, during that stretch, the team went from outscoring opponents by 4.8 ppg to 12.8 ppg. Of course, Houston seemed a little extra locked in against the Jazz, which resulted in a 32-point blowout — tied for the second-largest in Rockets’ playoff history. Utah managed only 90 points for the game, which was just the 18th time in 83 games this season that the Rockets held an opponent under 100. The Jazz also shot just 39% from the field — which was the seventh time Houston kept a team under 40% in a game. Houston’s players said the key to the defensive effort was making life difficult for Jazz star Donovan Mitchell. The second-year guard totaled 19 points and five rebounds, but he shot only 7 of 18 overall, committed five turnovers, and didn’t get a single assist (some of which, admittedly, had to do with teammates not hitting shots). The Rockets said that by making Mitchell uncomfortable and making him have to work harder than normal, they put themselves in a good position to shut down the Jazz offense.